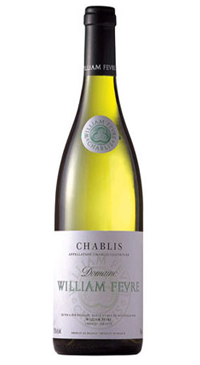 Domaine William Fevre works passionately to express the terroir of Chablis; respecting the region’s environment and traditional practices. The ancient soil, a fossilized oyster bed, imparts freshness and minerality to the wines. Domaine William Fevre is a historic domaine made up of 51 hectares and 90 separate parcels of vineyards that are carefully managed by limiting yields and moving towards organic viticulture in recent years. The domain carries out harvesting by hand in small crates followed by rigorous sorting, and pays close attention to detail at every stage of the process. Chardonnay grapes grow on Kimmeridgian soil (a fossilized oyster bed) acquiring the mineral and chalky qualities of the earth. The nose is delicate with developing citrus, white-fleshed fruit and floral notes. The palate is bright, crisp and mineral.